Safeguarding and promoting the welfare of children is everyone’s responsibility. Everyone who comes into contact with children and their families and carers has a role to play in safeguarding children. 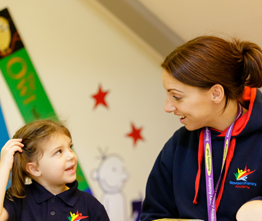 In order to fulfil this responsibility effectively we make sure our approach is child-centred. This means we consider at all times what is in the best interests of the child. We provide good lines of communication for children with trusted adults, supportive friends in a culture of safeguarding. 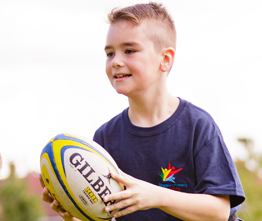 We believe that it is always unacceptable for a child to experience abuse of any kind. We recognise our responsibility to safeguard the welfare of all children. We will provide staff and volunteers with guidance to follow when they suspect a child may be experiencing abuse or at risk of harm. We will work co-operatively with other agencies to safeguard and promote the welfare of children. We will ensure that our concerns about our pupils are discussed with parents/carers first – unless we have reason to believe that such a move would be contrary to the child’s welfare. The school’s Safeguarding Policy is available to parents on the website under information, policies and at the front office on request. We review our policies and procedures on an annual basis. Whenever you go online, you need to be S.M.A.R.T. Children here at Stourport Primary Academy are taught to be S.M.A.R.T. when they go online, at home or at school. During weekly Enrichment lessons children are taught the importance of being S.M.A.R.T. This is done through the use of the cartoon series Kara, Winston and the SMART Crew and class discussions. S for Safe – Keep safe by being careful not to give out PERSONAL INFORMATION when chatting or posting online. Personal information includes your e-mail address, phone number, age and passwords. M for Meeting – Meeting someone when you have been in touch with them online can be dangerous. Remember online friends are still strangers. A for Accepting – Accepting emails, messages or opening files, pictures or texts from people your don’t know or trust can lead to problems. They may contain viruses or nasty messages. R for Reliable – Someone online might lie about who they are and information on the Internet may not be true. Always check information with other websites, books or someone who knows. T for Tell – Tell your parent, carer, teacher or a trusted adult if someone or something makes you feel uncomfortable or worried or of you or someone you know is being bullied online. With children being taught the importance of being S.M.A.R.T. whenever they use computer equipment, this will lead to a safer time online. To download the S.M.A.R.T. poster provided by Childnet please CLICK HERE. Other Online Safety lessons follow the Adventures of Lee and Kim, understanding what can happen when you Play, Like & Share and see what effects Cyber Bullying can have on a child through Joe’s Story. These lessons are supported by CEOP(Child Exploitation & Online Protection Centre), Childnet International and Digizen. We also take part in the yearly National Safer Internet Day as well as run workshops for parents. Should you ever have any questions or concerns about Safeguarding or Online Safety, please feel free to contact Miss Newton (Designated Safeguarding Lead) or Mr Owen (Online Safety Officer). Mr Owen will also advise and assist you with the setting up of Parental Controls on your home devices. If you are in a situation in which you are not able to follow the S.M.A.R.T. rules and tell an adult if something is upsetting you on the internet, you can click the button below and make a report on what is troubling you. A Culture of Safeguarding – Every week within our school newsletter, we provide Safeguarding information for parents/carers and children. This includes useful contacts, Online Safety updates and the latest Safeguarding information. To read an electronic version of the school newsletter, CLICK HERE. Operation Encompass – Please Click Here to download the letter from the school in regard to Operation Encompass. Family Front Door – If you have reason to believe that a child or young person is at immediate risk from harm contact the Police on 999. If you have any concerns about a particular child or young person and feel that they may be in need of protection or safeguarding members of the public should contact the Family Front Door on 01905 822666 from Monday to Thursday 8.30am to 5.00pm, Friday 8:30am to 4:30pm. NSPCC -If you’re worried about a child, even if you’re unsure, contact the professional counsellors 24/7 for help, advice and support. You can call them on 0808 800 5000. Childline – You can talk to Childline about anything. No problem is too big or small. You can call Childline on 0800 11 11 or get in touch online. However you choose to contact them, you’re in control. It’s confidential and you don’t have to give your name if you don’t want to. Think U Know – Aimed at children from 5 to 17, this site includes information and videos about how children can stay safe while online. The site is developed by CEOP (Child Exploitation & Online Protection Centre). Childnet International – A non profit organisation working to help make the Internet a great and safe place for children. Follow the adventures of Kara, Winston and The SMART Crew. Digizen – This is an awarding winning film about the affects of Cyber Bullying. The film shows ways in which Cyber Bullying can occur and what can be done to prevent it. 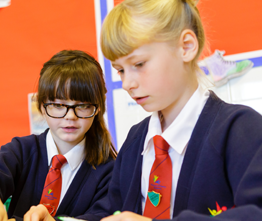 Know IT All for Primary – Within the Childnet International website is Know IT All for Primary. This site has lots of different activities for parents and children to take part in. Bullying UK – Lots of advice and information for parents who are worried about bullying. The site includes information on Cyber Bullying including the affects of social media bullying. 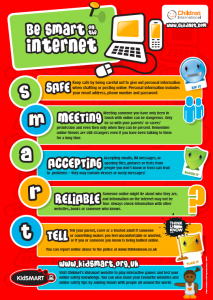 Internet Matters – A great site for helping parents to keep their children safe online. 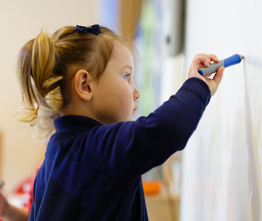 If staff become aware of, or have a need to become involved in, situations where a child may be at risk of hurting themselves or others or, if the behaviour of a child seriously disrupts good order in the school or causes damage to property, staff may need to take steps to intervene physically. In such circumstances, staff will follow the school’s policy for dealing with such situations. Any parent wishing to view this policy may find it on the web site or on request at the school office.